1. 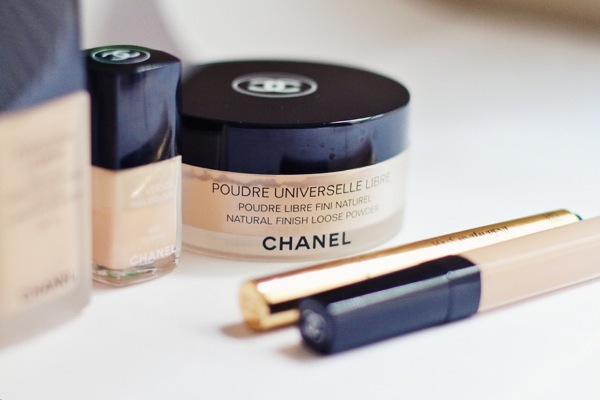 Chanel Perfection Lumiere (foundation). Perfection Lumiere replaced my all time favorite Teint Innocence foundation which was discontinued. I can't say that I love the new one as much as I used to love Teint Innocence but it works for me, it evens out the skin tone and doesn't break me out (which is the most important part since my skin is super sensitive and breaks out easily). Though it's considered a long-wear foundation, it looks very natural. 2. Chanel Poudre Universelle Libre (natural finish loose powder). 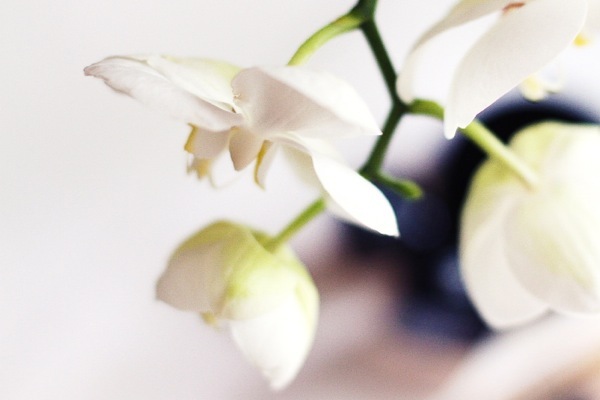 It's so soft and delicate, it provides a sheer coverage with matte finish. 3. Yves Saint Laurent Touch Eclat. Instantly creates a healthy, glowing complexion. I seriously love it! 4. 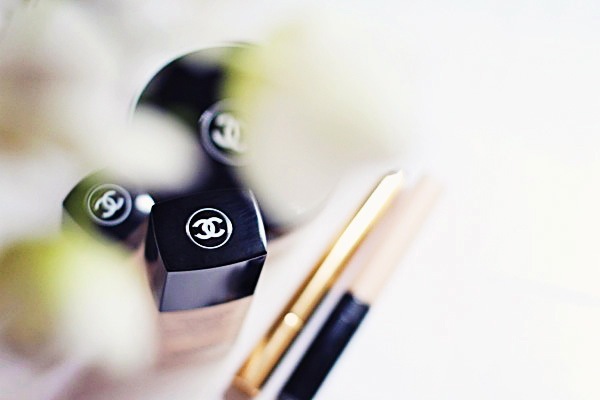 Chanel Correcteur Perfection (concealer). I started using it only a few weeks ago, and I haven't used many concealers before so I can't say too much about it. I like it but my Maybelline concealer that I used a few years ago was doing pretty much the same job for a lot less money. 5. Chanel Le Vernis in 485 Django (nail polish). I use this shade for my every day natural-looking manicure, also love Essie's Ballet Slippers. What are your favorite makeup items that you use every day? Feel free to suggest any other great products, I'm always on the lookout for new stuff! I have heard amazing things about that foundation! I can't live without my revlon foundation, covers every flaw! Touch Eclat is definitely worth trying! ohhh i'm in love with your blog :o soo cute!! wow! 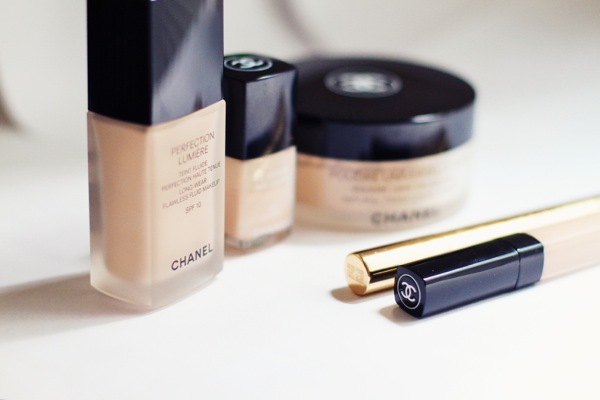 you are such a fan of Chanel Cosmetics! Well me too! And Of course I also love Ballet slippers! Thank you for the reviews. I started using Chanel cosmetics maybe about a year ago and I love them. I haven't used any of the foundation or concealer, though I might give this one a try. I love their Illusion D'Ombre creamy eyeshadows, they are amazing. Thank you for all the comments, girls!